Maureen Riley, a native of Upstate New York, is a highly respected educator and performer. The daughter of a self-taught fiddler, she grew up in a musical family, and began playing the violin as a young girl, four years after the death of her father. Her pedagogical studies have been with many masters of the instrument (SUNY Oswego—Phyllis Skoldberg, Syracuse University – Janet Smithers, both former students of Ivan Galamian) and with many of the pioneers of Suzuki Violin through the Suzuki Association of the Americas (John Kendall, Enid Cleary, Sue Levine, Rudy Hazucha, Carol Smith, Alice Joy Lewis, Brain Lewis, Sue Baer, Liz Arbus, Joanne Melvin). 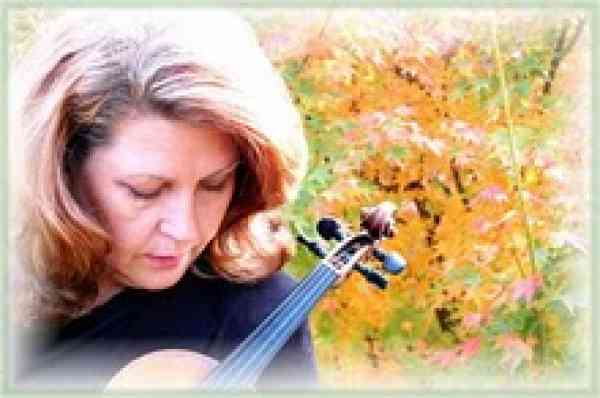 She maintains her own private Suzuki Talent Education Violin Studio in Bellevue, Nashville, Tennessee since 1995, and established the first Strings class at Harding Academy, Nashville, Tennessee in 2012. As a local community performer, she has performed for the Nashville Composer’s Association Score _Underscore! Film concerts, local musical theatre productions with ACT I, with Schola Pacis, is a member of the Harpeth Trio and a frequent soloist at churches. Her vast musical experiences include working with American Stage and Film director/writer Joshua Logan, playing under the baton of renowned American conductors, Robert Shaw and Howard Hanson, performing in a variety of ensembles and genres of music in NY, NC, VA, TN and Europe. It has also been her great fortune to be the parent of a successful Suzuki student, bringing a wealth of knowledge and experience from both the parent and teacher perspective. Maureen passionately believes in the power of music in healing and ministry, and in the development of noble hearts and kindred spirits in children who study the violin.